So – you want to be the world’s best spy. Very well. There are a few things that you’ll need. Some smart gadgets. Some cunning codes. And the wisdom of past spy masters! 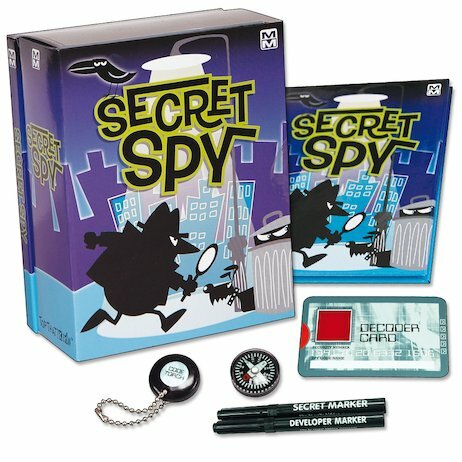 Luckily, this kit gives you all that super-spy equipment, including the cool tools and the expert training (although you bring your own iron nerve). Now you can hunt villains, crack codes – and do it all in secret. No mission is too tough or sneaky for a spy as well-prepared as you! Kit contains a 48-page hardback, secret code torch, decoder card, secret marker pens, a compass and 18 cool missions!